We process every animal individually. Your meat does not get mixed with anyone else's. If you bring in good meat, you get back good meat. Guaranteed. • An owner tags and weighs your animal, and it is processed, butchered and packaged individually, one at a time. Your meat is never mixed with anyone else's. • All meat is cut or ground fresh, double wrapped and flash frozen, to lock in freshness and flavor. You get the best flavor and most tender meat. 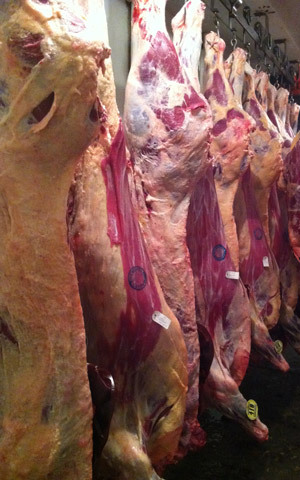 • Our Flash Freezing Process provides meat that will last 3 years in your freezer with NO Freezer Burn. Your meat comes out fresh and tender.